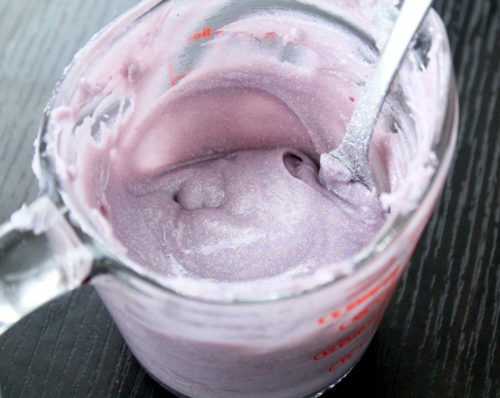 Learn how to make your own scented DIY unicorn eyeshadow. 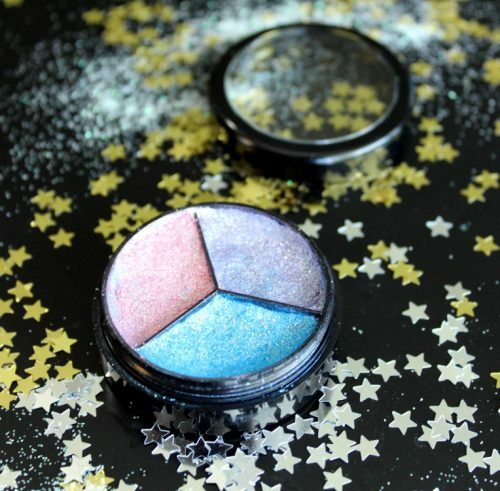 This fun trio of scented pressed eyeshadows offers lasting pastel color and shimmer that’s perfect for eyes. 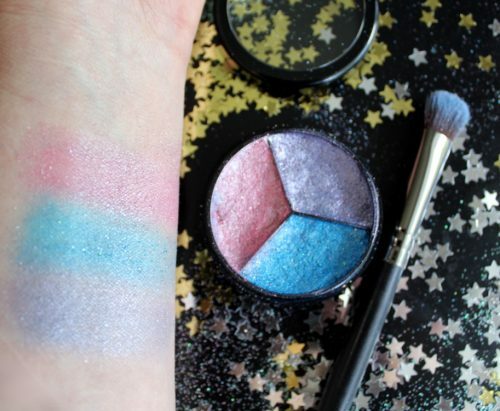 Once you’ve mastered these colors, be sure to try out your own custom DIY unicorn eyeshadow in custom colors and scents! 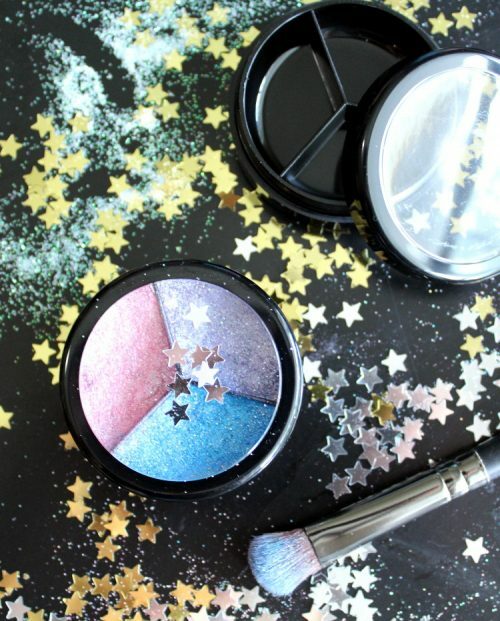 Ready to jump right into creating your own unicorn inspired eyeshadow? 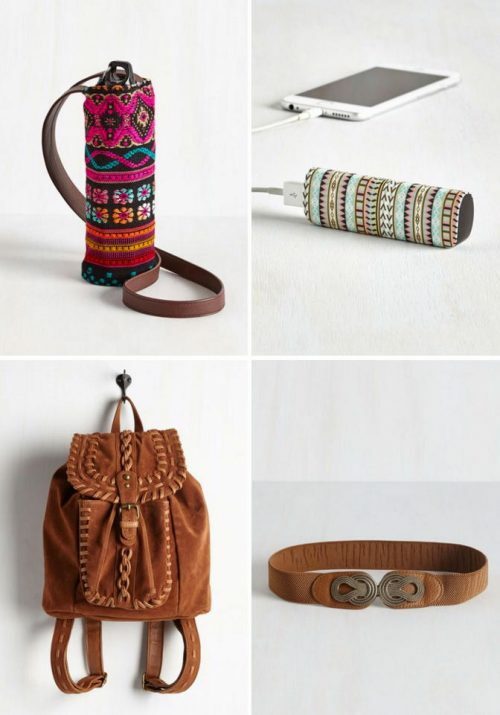 There are a few things you’ll need for this mineral makeup project. I used the 10 ml black plastic jars with 3 dividers with black window lids from SKS Bottle & Packaging for my DIY unicorn shadow to keep the colors separate. However, you can mix all of the colors individually then fill an undivided jar in three sections of color. This will allow you to swipe all of the colors onto one brush at the same time to use as a highlighter. You’ll also need an assortment of eye safe micas, fine silver rainbow cosmetic glitter and sericite to create your colors. I purchased these ingredients from Brambleberry. And, to keep the colors together when pressed, improve glide and staying power, I also used isopropyl (rubbing) alcohol and dimethicone. 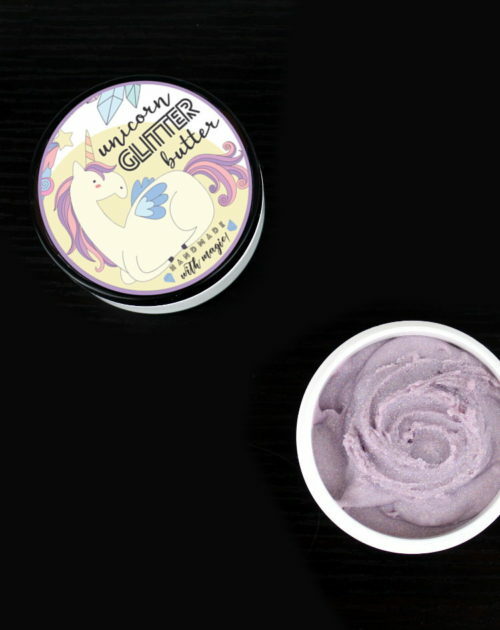 If you’d like your DIY unicorn eyeshadow scented, you’ll also need a skin safe fragrance oil. I used a rose quartz fragrance oil, also from Brambleberry, however you can use any fragrance oil you prefer. I recommend a skin safe fragrance oil with no vanilla content and that’s mostly clear without a heavy yellow cast. 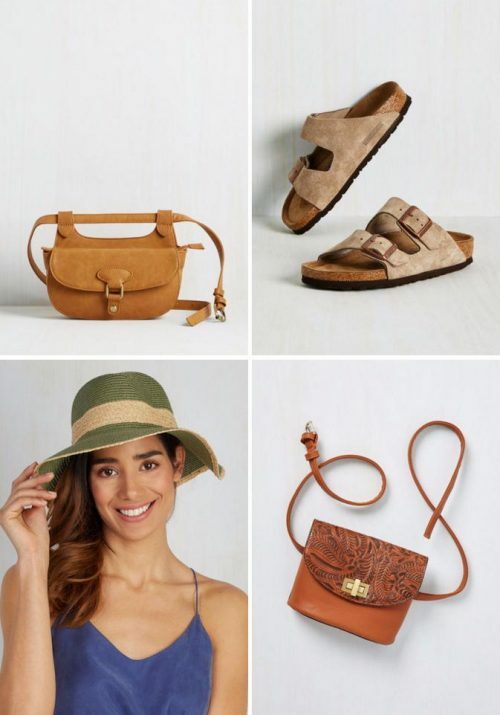 Have everything you need? Let’s get started! 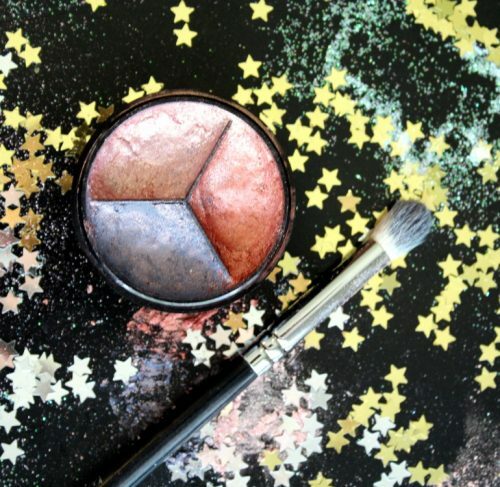 You’ll find the mineral makeup recipes for each of the colors for your DIY unicorn eyeshadow below. I used .15CC scoops for all of the dry measurements indicated and a graduated transfer pipette to measure out the liquid ingredients in drops. Begin by cutting out a small piece of cardboard that fits into the cavities of your container. You can do this by tracing a circle around the jar, then cutting it out slightly inside the circle you drew so that it fits inside the jar. Then cut the circle into three equal parts that match the cavities of your container. Trim them down slightly until each fits inside a cavity. Follow with the micas, then mix well using a toothpick or other small utensil. Now add the glitter and remix until all of the dry ingredients are fully incorporated into the shadow. Once you’ve mixed the dry ingredients, use a dropper to add the rubbing alcohol, dimethicone and the fragrance oil. Mix well with a toothpick until the eyeshadow is evenly coated with the wet ingredients. 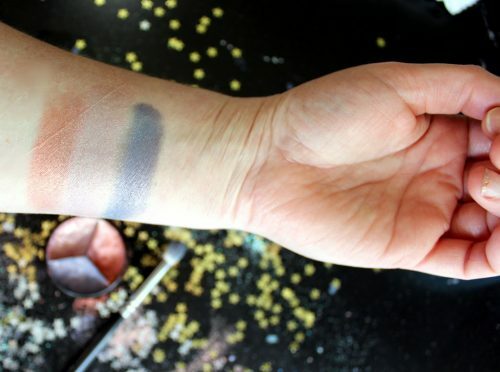 Fill one of the cavities of your eyeshadow pan with the shadow, piling it into a mound. 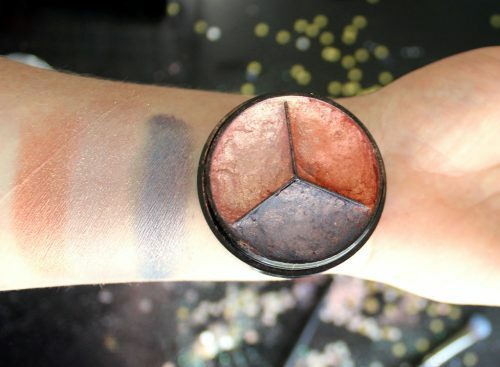 Gently press the shadow down with your finger just until the eyeshadow is about even with the top of the jar. Next, wrap one of the small pieces of cardboard you cut out in a piece of thin linen or wax paper. Press the wrapped cardboard on top of the shadow into your cavity with as much force as possible, then gently remove the wrapped cardboard. Your first color is now complete! Simply follow the same process with your remaining scented DIY unicorn eyeshadow colors until your tri-color eyeshadow pan is full. Let your scented unicorn eyeshadow rest overnight. They’re then ready to use the next day! 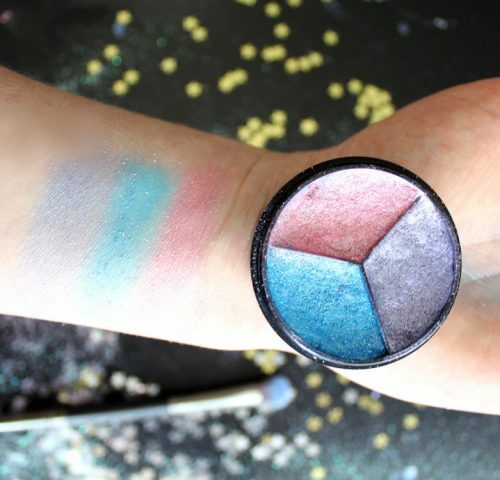 To use your scented DIY unicorn eyeshadow, apply as desired with an eyeshadow brush over your favorite eyeshadow primer for long lasting shimmer and color. If you like my DIY unicorn eyeshadow but aren’t ready to take the plunge into creating your own, then you may like Absolute New York’s Twilight Icon Eyeshadow Palette. Each luxurious palette comes with a rainbow of twelve eyeshadow colors, a large mirror and a dual-ended eyeshadow brush – everything needed for your perfect eye look. The extensive range of shades features everything from soft neutrals to decadent jewel-toned metallics – and can be used seamlessly from day to night. You can find this eyeshadow palette here. 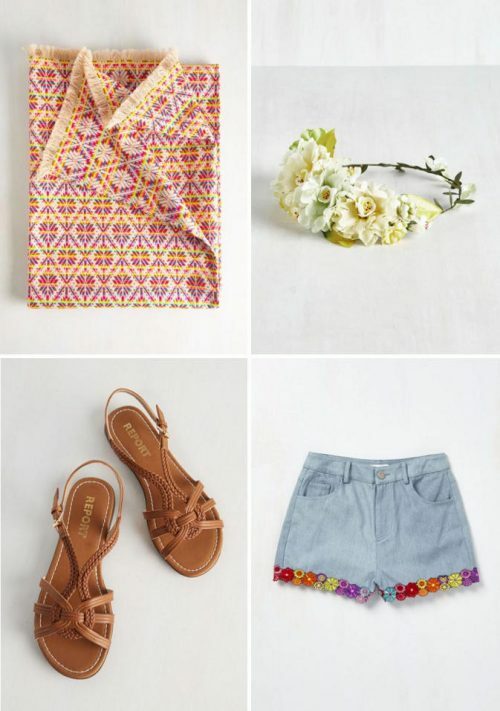 Ready to make another one? My friend, Bambi, also made her own custom tri-color eyeshadow palette. She scented her eyeshadow colors with a green smoothie fragrance oil. Following is her recipe! To make these eyeshadows colors, simply follow the instructions to creating the scented DIY unicorn eyeshadow above. Can I sell my eyeshadows? 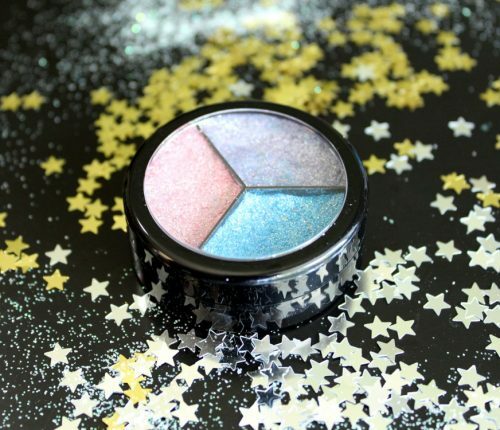 If you are wanting to sell your scented DIY unicorn eyeshadow palettes, there are a few things you should be aware of first. Currently glitter, mica-based pearlescent pigments, and other composite pigments used in cosmetics are NOT FDA approved for cosmetics. The FDA is currently exercising discretionary enforcement of these color additives while they are in discussion over regulatory status and safety. You can find further discussion on this at Marie Gale’s blog here. Marie Gale is author of the book, Soap and Cosmetic Labeling: How to Follow the Rules and Regs Explained in Plain English, which I highly recommend for anyone selling handcrafted cosmetic and skin care products. 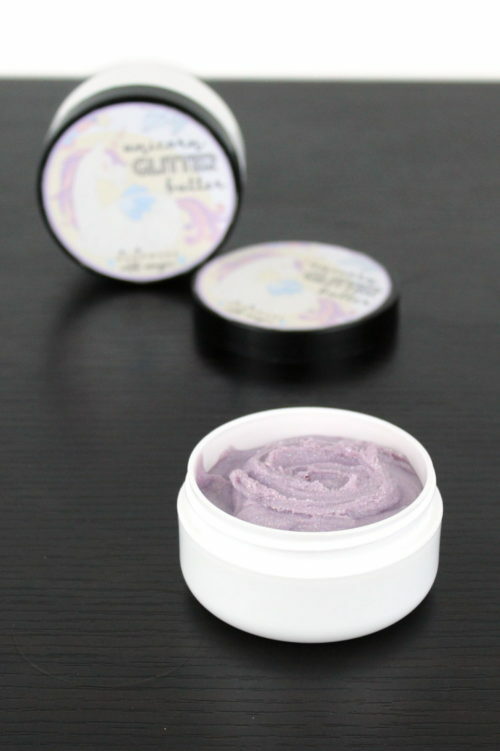 If you love my scented DIY unicorn eyeshadow then you’ll also like my DIY unicorn balm. 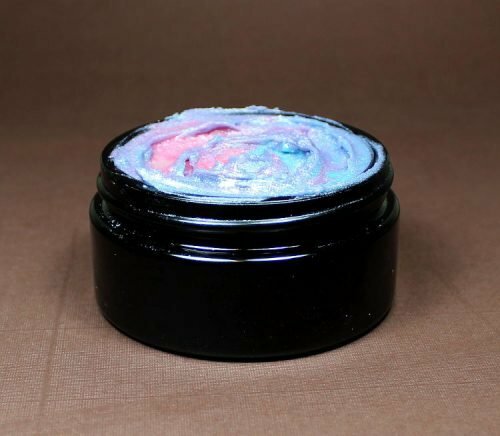 This tri-color DIY unicorn balm leaves just a hint of shimmer on your skin and can be scented with your favorite fragrance! Learn how to make it here. To discover even more of my homemade skin care recipes as well as others from around the web, be sure to follow my Pinterest boards. You can also find and follow me on G+, Tumblr, Facebook, Twitter, Blog Lovin’, and Instagram. Or sign up to receive new posts from Soap Deli News blog to your email via FeedBurner so you never miss a post. 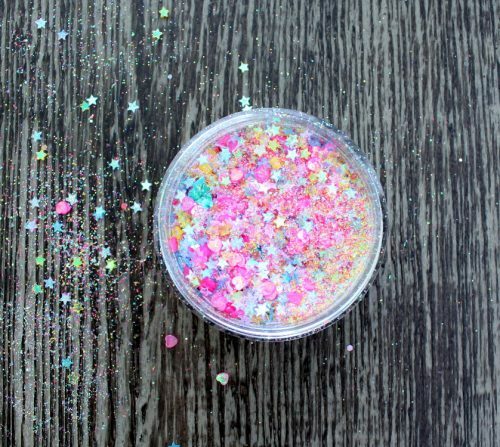 DIY Unicorn Body Glitter for Summer Festivals & Parties! 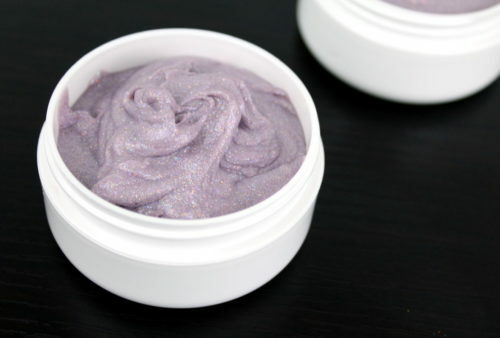 Learn how to make your own DIY unicorn body glitter to wear to summer festivals and parties! 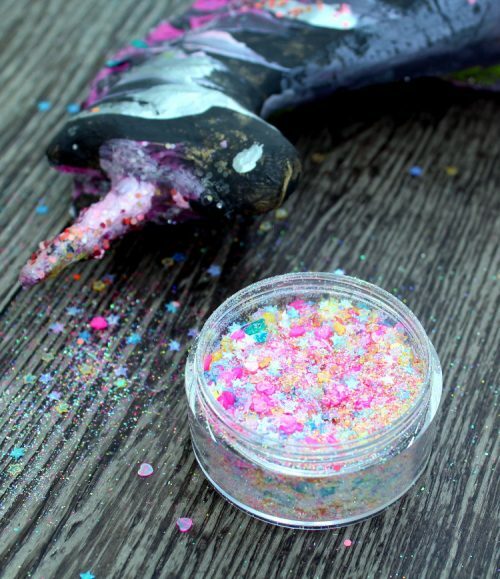 Probably one of the easiest things you’ll make this year, this super sparkly unicorn body glitter is made with a combination of iridescent fine rainbow colored glitter and tiny heart & star spangles. 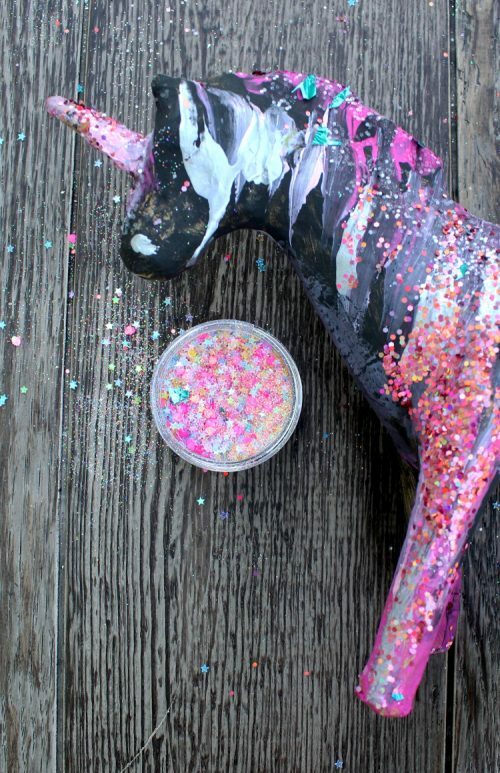 What makes this DIY unicorn body glitter so easy? Well, it only requires you purchase a single product! You’ll just need to buy this Sulyn Sugar Sparkle Mixed Spangle Sample Pack. Then, to make your DIY unicorn body glitter, simply open and combine each package of the glitter and spangles from this sample pack. 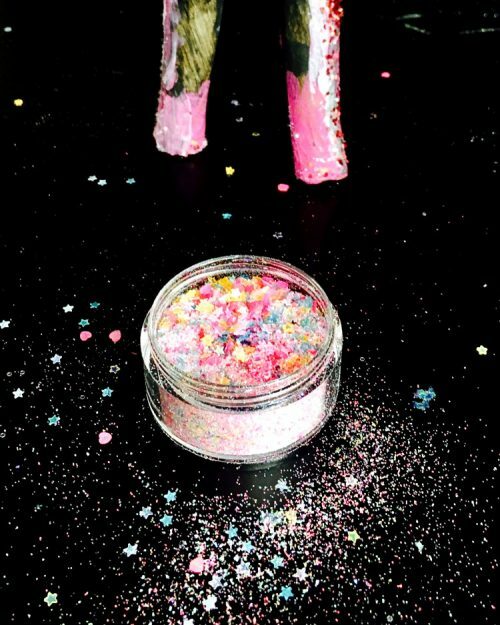 Mix all of the glitter and spangles together in a 30 mL cosmetic jar. And that’s it! 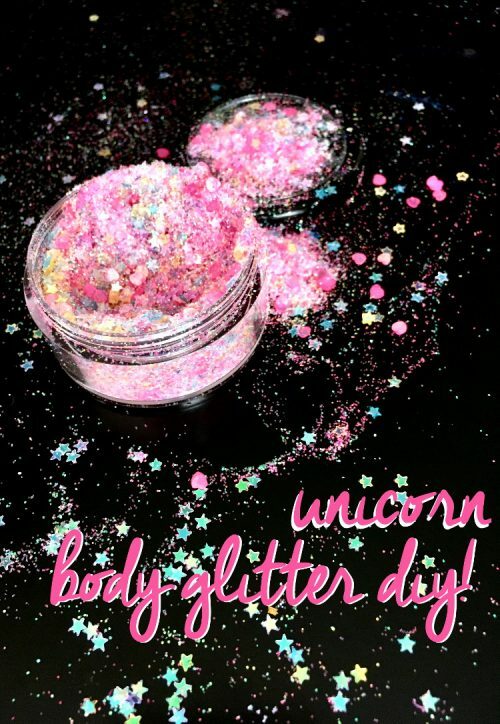 To use your unicorn body glitter, apply as desired using your favorite glitter primer or eyelash glue for heavier glitter applications. You can also mix it with a small amount of the glitter with aloe vera gel and apply it like a lotion for widespread glitter application. A safer alternative to using chunky glitters around your eyes are temporary tattoos. 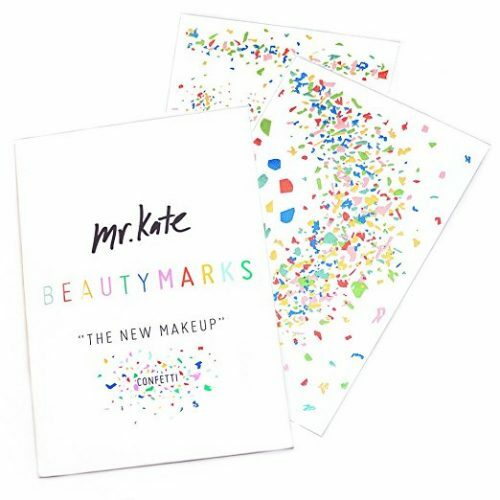 I love the Mr. Kate Confetti BeautyMarks. All of the confetti designs are made from actual photographs of sprinkled confetti for a realistic look. In addition they are arranged in big and small metallic flakes so you can let your personal creativity shine through. Simply apply the metallic confetti designs the same way you would temporary tattoos then remove at any time with body oil. 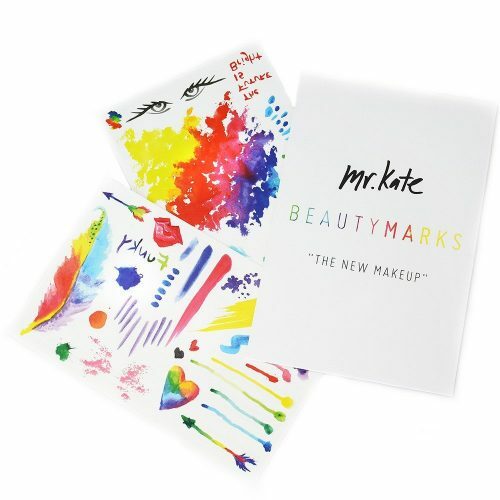 I’m also a fan of the Mr. Kate Watercolor BeautyMarks! 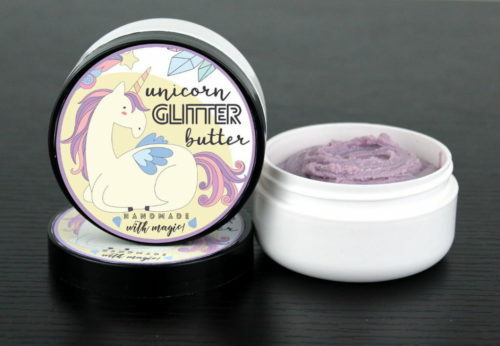 For more unicorn inspired projects, also check out my blog posts for throwing a unicorn party, as well as how to make a shimmering unicorn body balm, unicorn macaron soaps, and a shimmery unicorn inspired rainbow moldable sugar scrub! 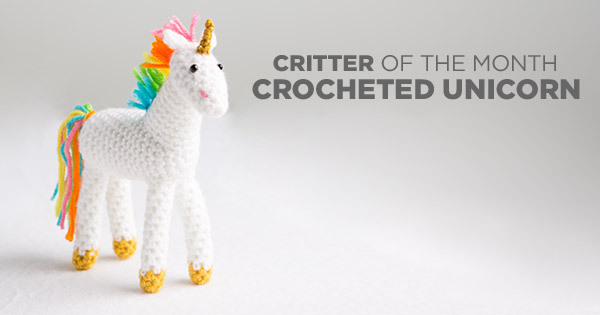 Or visit my Unicorn Lust Pinterest board for more DIY unicorn projects. 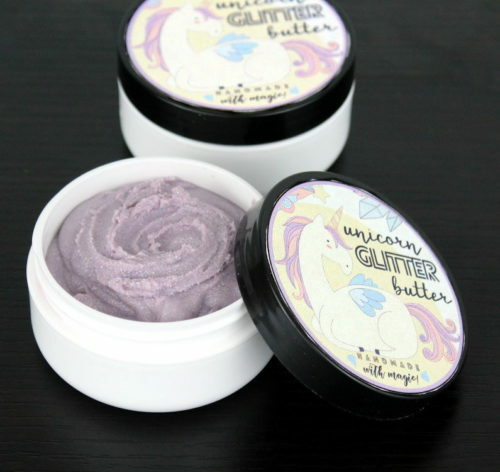 You can also browse my unicorn favorites on Etsy here for unicorn bath, body and beauty products you can buy! If you don’t already, be sure to follow me on G+, Tumblr, Facebook, Twitter, Blog Lovin’, and Instagram. Or sign up to receive new posts from Soap Deli News blog to your email via FeedBurner so you never miss a post. This natural spray deodorant recipe isn’t just for wookiees. It’s pretty much awesome for anyone looking for a non-irritating natural deodorant alternative. (There’s ZERO baking soda!) But just for fun there are free printable “Wook Away Spray” deodorant labels for your finished product! 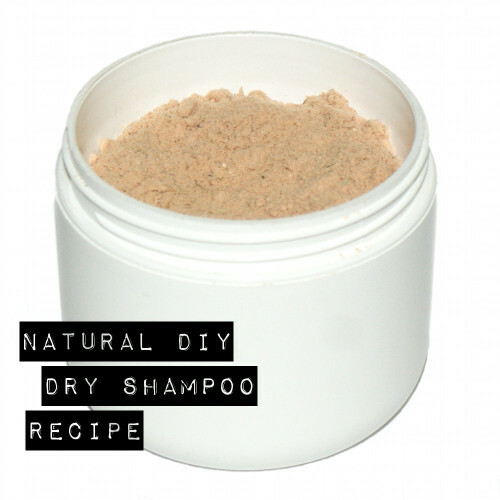 I originally formulated my natural spray deodorant recipe without any arrowroot powder. However, I found this made my deodorant spray feel sticky once sprayed on. Which was an absolute no go for my bf. So I added some arrowroot powder to the formula and voila! 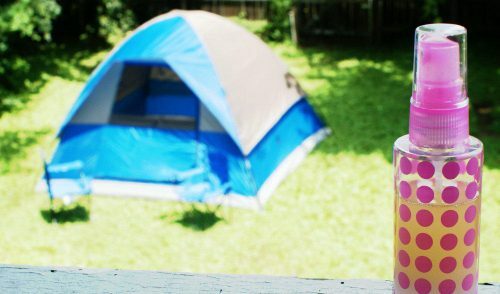 – I had my wook away spray! I used a blend of patchouli, lavender and tea tree essential oils for my natural spray deodorant recipe. In the amounts given you’ll find this gives this natural spray deodorant a more unisex scent that’s not really floral nor does it smell like someone drowned themselves in patchouli. It’s more of a fresh scent that most people won’t find offensive and the essential oils were also of course chosen for their specific skin care properties. 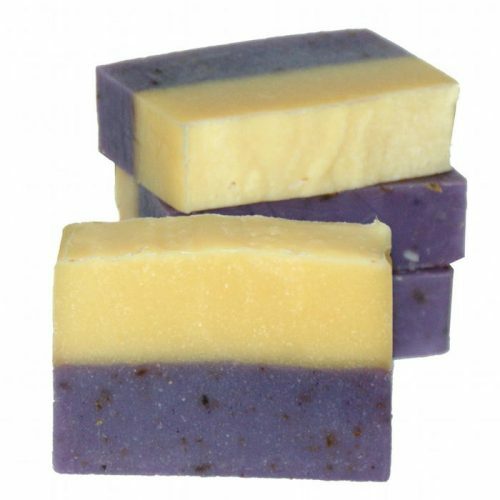 That they are anti-bacterial helps to prevent odors. However, feel free to substitute your own essential oil blend for scent preference. 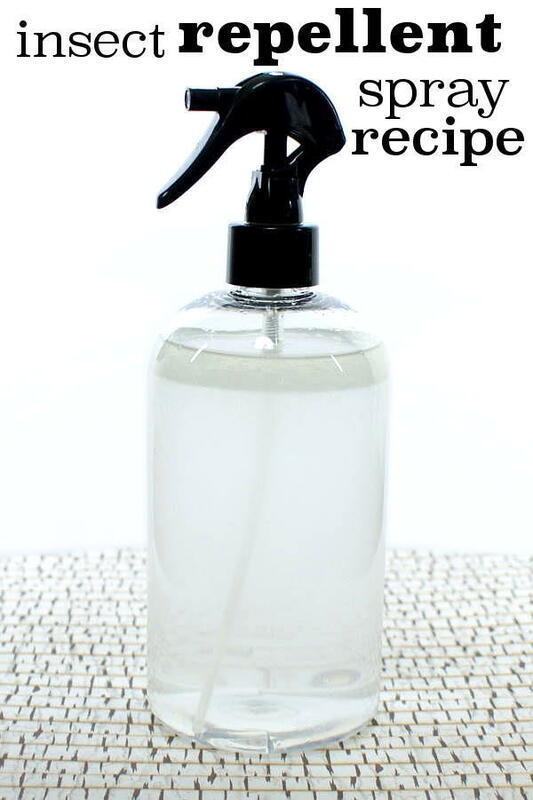 Keep reading for my natural spray deodorant recipe as well the free printable “Wook Away Spray” labels. I specifically used the witch hazel extract from Mountain Rose Herbs for my natural spray deodorant recipe as it’s been double distilled and contains 86% witch hazel extract and only 14% alcohol. However, if you prefer witch hazel without alcohol, then Thayer’s Alcohol-free Rose Petal Witch Hazel with Aloe Vera is a suitable alternative. 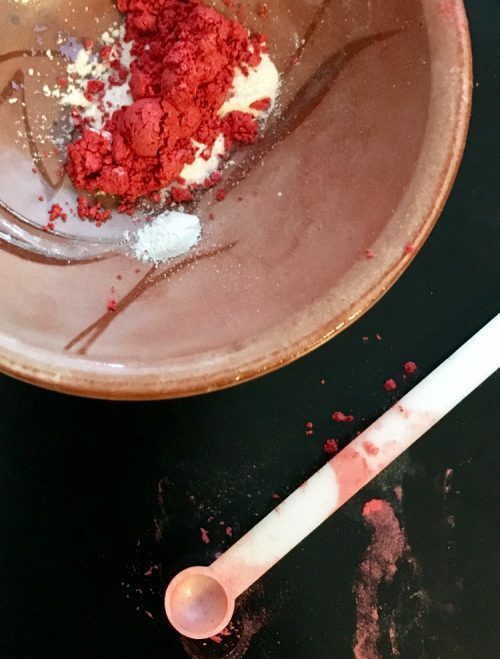 Using a measuring spoon, measure out the magnesium hydroxide, arrowroot powder and pink Himalayan salt. Whisk these ingredients into the witch hazel until there are no clumps and the magnesium hydroxide and arrowroot powder have dissolved. Now, using a different graduated transfer pipette or glass dropper for each, add the essential oils and mix again. Use a small funnel to pour the mixture into your 100 mL glass jar and screw on the fingertip mister. To use simply spray onto clean armpits as desired, shaking vigorously before each use to avoid clogging your sprayer. Reapply afterwards as needed. If you’d like to use my “Wook Away Spray” labels for this natural spray deodorant recipe, you can download the free printable “Wook Away Spray” PDF labels here. 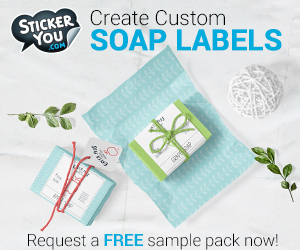 Then simply print the labels onto a full size label sheet – WorldLabel has great prices for bulk labels and sticker sheets – cut out and adhere to the front of your 100 mL fine mist spray bottle. Prefer a natural solid deodorant recipe? Then be sure to check out my natural lavender and patchouli deodorant recipe with printable labels here. Or make my natural spray deodorant recipe a roll on deodorant by filling a few roll top glass bottles instead of using a spray bottle. Alternately if you don’t have the time or resources to make your own natural deodorant, then be sure to check out the All Good Deodorant line at Mountain Rose Herbs. All Good Deodorants are handcrafted from organic and natural ingredients and contain naturally-occurring enzymes and essential oils to provide long lasting coverage. And there’s no baking soda! You can learn more about these natural deodorants here. If you the concept behind my “Wook Away Spray” then you may also enjoy my Star Wars soap tutorial. 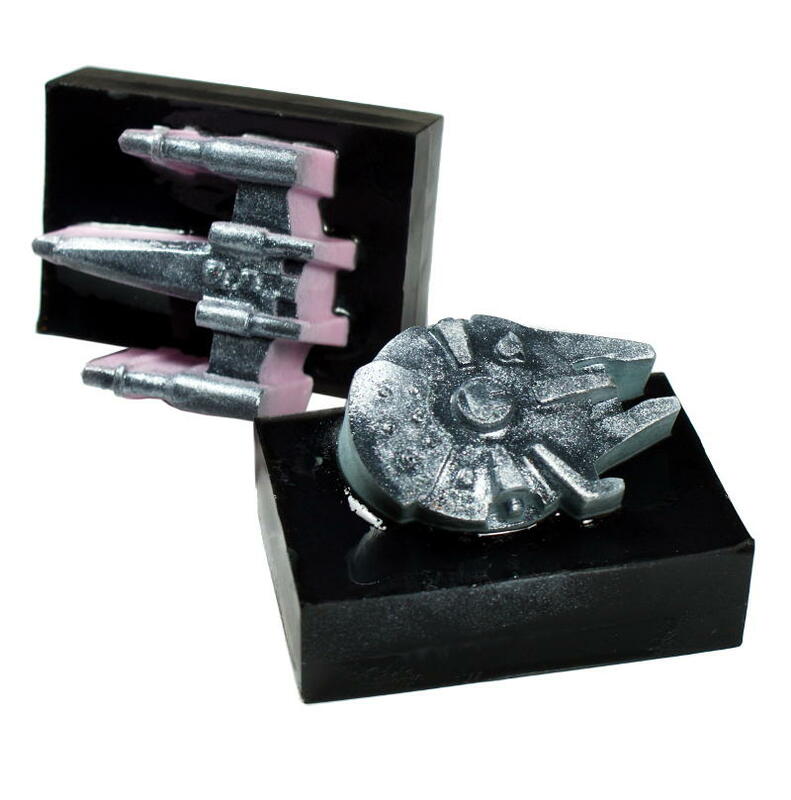 This melt and pour soap tutorial instructs you on how to make your own DIY Star Wars inspired soaps in both Millennium Falcon and X-Wing Fighter shapes. You can find that tutorial here. If you’re interested in more of my natural skin care recipes, then be sure to follow me on Blog Lovin’, Tumblr, Facebook, Twitter, G+ and Instagram so you never miss a post. 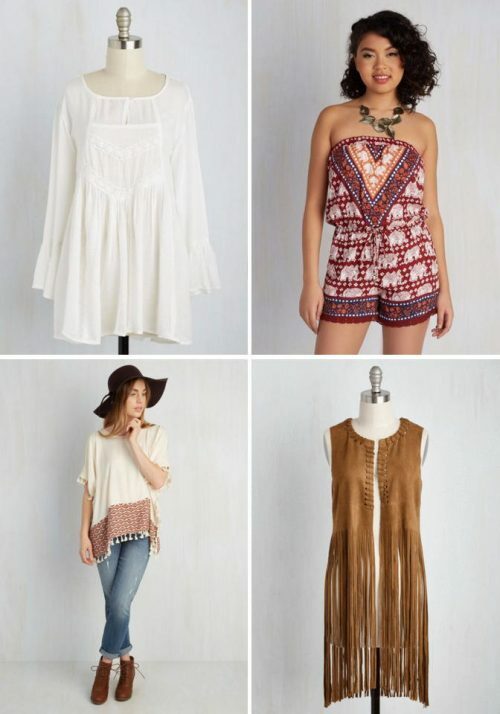 You can also find and follow me on Pinterest.